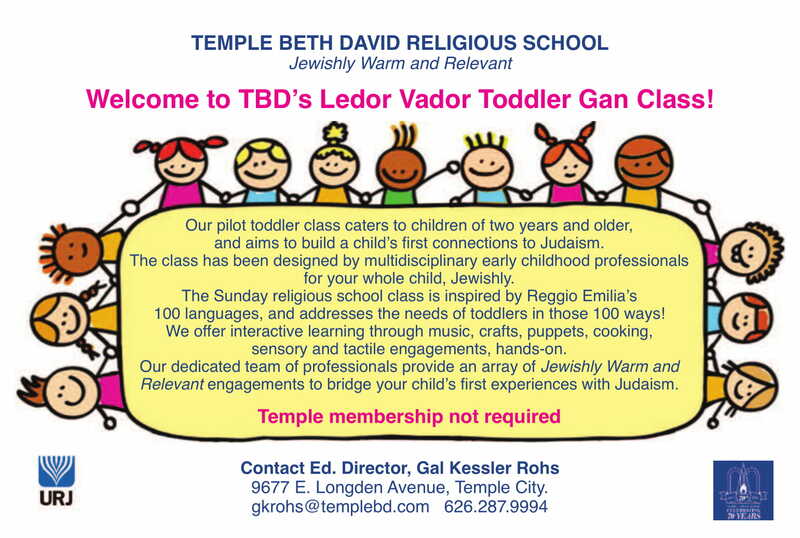 Our pilot toddler class caters to children of two years and older, and aims to build a child’s first connections to Judaism. The class has been designed by multidisciplinary early childhood professionals for your whole child, Jewishly. The Sunday religious school class is inspired by Reggio Emilia’s 100 languages, and addresses the needs of toddlers in those 100 ways! We offer interactive learning through music, crafts, puppets, cooking, sensory and tactile engagements, hands-on. Our dedicated team of professionals provide an array of Jewish Warm and Relevant engagements to bridge your child’s first experience with Judaism. Copyright © 2019 Jewish Federation of the Greater San Gabriel & Pomona Valleys. All Rights Reserved.